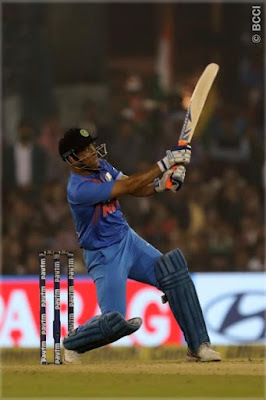 MSD is a cult star ~ last ball of the innings – bent to hoist, up, up and up it went – and as it descended it was not too long (71 M) but so high – up above the World so high, like a diamond in the sky ! It was during the viceroyalty of Lord Curzon that Berar was permanently ceded to the British by the Nizam. It was announced from Fort William that Berar had been administered by British under the treaties of 1853 and 1860 for meeting the expenses of the Hyderabad contingent, and any balance of revenue was to be handed over to the Nizam; but this arrangement had not worked satisfactorily. Berar Province (Marathi: Varhāḍ), known also as the Hyderabad Assigned Districts, was a province of British India. The province, formerly ruled by the Nizam of Hyderabad, was administered by the British after 1853, although the Nizam retained formal sovereignty over the province. After 1903 the administration of the province was placed under the commissioner-general for the Central Provinces as the Berar Division. In 1936 with the establishment of the legislative assembly of the 'Central Provinces and Berar' the territory was renamed the Central Provinces and Berar. In the famed Ranji Trophy finasl that I remember watching all the days in March 1982, Karnataka played first. Roger Michael Binny scored 115; Brijesh Patel 124, stylish Sudhakar Rao 71, Kirmani 116, Ranjit Kanwilkar 116 – as they were all out after 255 overs making 705. Seemingly impossible target, one thought. Ranjit Kanwilkar, an all-rounder was only 21 and was considered to be an exciting prospect, sadly died later in an accident when coaches fell into lake Ashtamudi Kayal in July 1988. Delhi bowling was in the hands of Madanlal, Mohinder Amarnath, Maninder (who went for 204 runs), Shukla and Kirti Azad. At Cuttack, India made 180/3 (KL Rahul 61, Dhoni 39*, Pandey 32*) beat Sri Lanka 87 (Chahal 4-23, Pandya 3-29) by 93 runs, a very huge margin. There was the dew factor – Lankans read it differently, picked just one specialist spinner, packed their side with seam options, and gave themselves the early advantage by winning the toss. At a time when I thought the score was not enough, with 4 overs to go - Nuwan Pradeep and Thisara Perera sent down five full-tosses in the last two overs of India's innings, and MS Dhoni and Manish Pandey clattered two of them for four and two for six. In all, India scored 61 in their last four overs. Later Chahal magic and Pandya’s performance handed the biggest T20 win. Vidarbha is the eastern region of the state of Maharashtra, comprising Nagpur Division and Amravati Division. Its former name is Berar. The largest city in Vidarbha is Nagpur. A majority of Vidarbhians speak Varhadi and Zadi dialects of Marathi. The Nagpur region is famous for growing oranges and cotton. Throughout its history, Vidarbha has remained much calmer than the rest of India, especially during the communal troubles; but it is plagued very much by poverty and malnutrition. In recent times, there have been calls for a separate state of Vidarbha, due to perceived neglect from the Government of Maharashtra and incompetent political leadership in Vidarbha. The living conditions of farmers in this region are poor compared to India as a whole. There have been farmers' suicides and economic turmoil. Vinay Kumar swings the ball both ways, Abhimanyu Mithun hits the deck at 140kph, left-armer Sreenath Aravind swings and seams, K Gowtham bowls off-spin, Jagadeesha Suchith left-arm spin and Shreyas Gopal brings in wrist spin. They have contributed to Karnataka’s five outright wins ; in stark contrast, Vidarbha has the old Wasim Jaffer and Indian pacer Umesh Yadav. It appeared that they would be no match for Karnataka in the Ranji Semi finals. At the end of play at Kolkatta today, Vidarbha's extraordinary resolve and single-mindedness have put them within inches of their maiden Ranji Trophy final, as their classic against Karnataka headed towards a stunning conclusion. With unshakeable confidence, supreme skill and tremendous discipline, Vidarbha's pacers brought Karnataka's bullish batting order to its knees to all but knock out the eight-time champions on the fourth day at Eden Gardens. At stumps, Karnataka were seven down in pursuit of 198, still requiring an improbable 87 runs. It was Rajneesh Gurbani, Vidarbha's find of the season, who ripped through Karnataka. Siddhesh Neral's double-strike had given Vidarbha an opening, but Gurbani pushed the door wide open. He ran through the heart of Karnataka's middle order with 4 for 35 that included the game-changing scalps of Karun Nair and CM Gautam. Karnataka was not in control of the chase: an unprecedented instance for a team that has racked up totals of over 400 six times in eight matches this season. The score card now reads : Karnataka 301 and 111 for 7 (Nair 30, Gurbani 4-35, Neral 2-37) need another 87 runs to beat Vidarbha 185 and 313 (Satish 81, Sarwate 55, Vinay 3-71, Binny 3-74). Hopefully, Vidarbha picks the balance wickets easily and enter the Finals for the first time in the history of Ranji Trophy to play another giant Delhi.